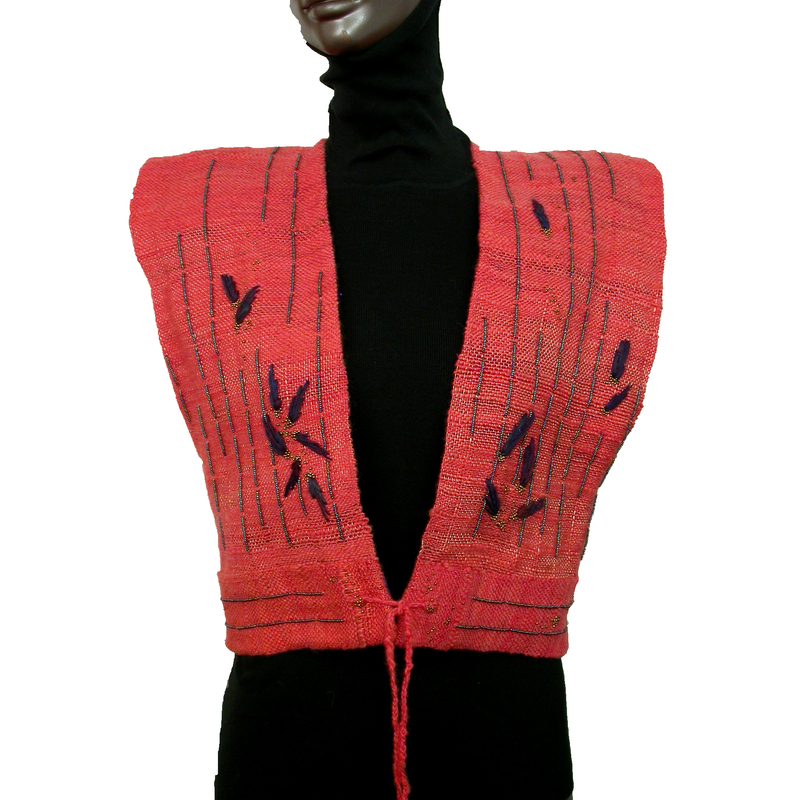 Orange vest was handwoven on floor loom with copper wire and hand-dyed and handspun merino wool; lined with purple habotai silk; embellished with Czech glass beading and hand spun flares. Completely hand-stitched. 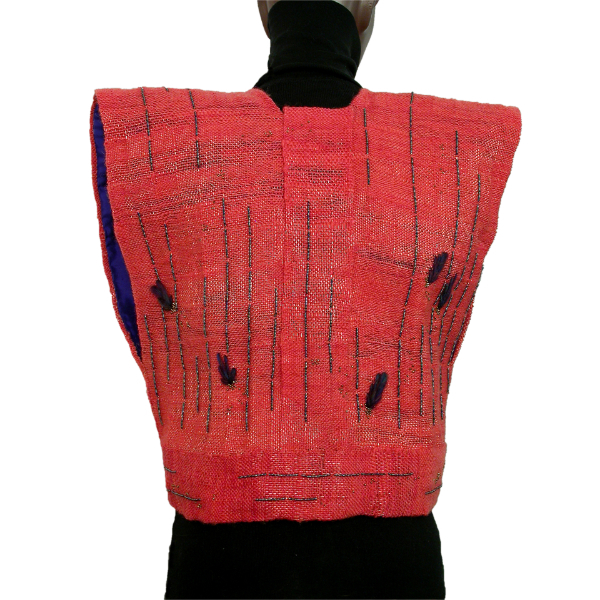 Orange vest was handwoven on floor loom with copper wire and hand-dyed and hand-spun merino wool; lined with purple habotai silk; embellished with Czech glass beading and hand spun flares. Completely hand-stitched.